Questions about Kichler Lighting 42511LZ? 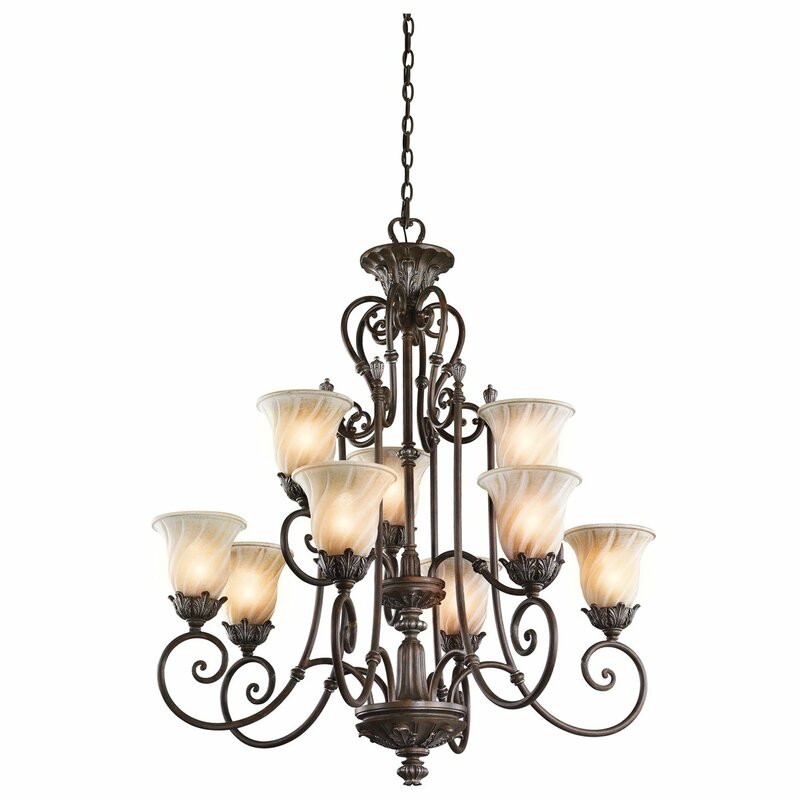 This 9 light, 2 tier chandelier from the Sarabella Collection has attractive European styling. Its classical influences - sensual curving, intricate leaf detailing and a beautifully aged Legacy Bronze Finish - act as a bold backdrop to its soft, artistic shades. Shades that add unusual depth and interest as a result of their subtle ribbed detailing. For additional chain, order 4901LZ. Dimensions: H 38 1/2" x W 33 1/2"